Neuroslicers from developer Dream Harvest seems like a very interesting title. A narrative driven, online competitive cyberpunk RTS and it will be coming to Linux. 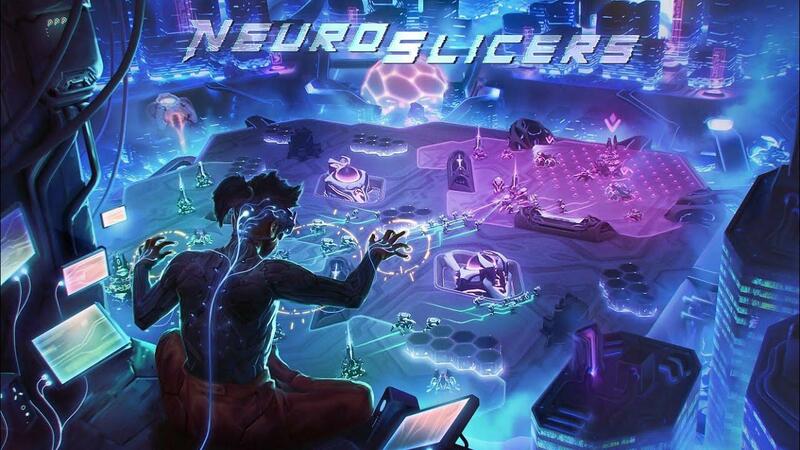 NeuroSlicers is a genre-defying highly tactical, narrative driven, online competitive cyberpunk arena based real-time strategy game. With AI powered units and battle board manipulation at its core, Failure offers a set of truly fresh challenges for both the seasoned competitive player as well as those looking for a truly fresh narrative driven strategy gaming experience. I actually discovered it on IndieDB some time ago. I reached out to the developer who didn't get my message for a while. Today, they replied to note that it will have a Linux version and their testers have been playing the Linux builds for a while. They do have some much more recent videos on it, like this much longer video from a recent livestream and it honestly looks quite amazing. Focusing on fast, macro driven gameplay, arena based maps and a multiplayer driven narrative. Control clever AI powered units. Use powerful hacking abilities that allow you to manipulate the battle boards. Spawn advanced weaponry and buildings that allow you to take over the network one data node at time. It's not due for quite a while, with it still being in development and their currently scheduled release date isn't until 2020. It's currently in the alpha stages and so a lot of it is undergoing changes. I'm going to be follow it more closely now it's confirmed. I should hopefully be able to test once it reaches a proper closed-Alpha next Spring. See more on the IndieDB page. That looks amazing! I'd love to get another good RTS on Linux - we have only very few polished ones which look good and play well to be honest. I'm still missing "a coninvincing" Starcraft 2 clone on Linux. How did cyberpunk RTS get popular? There's been a number of them lately. Is it because of Cyberpunk 2077? This seems pretty exciting. Will have to keep it on my radar.